SAN LUIS OBISPO — Three months after the Camp Fire destroyed much of the Northern California town of Paradise, Cal Poly students are working on plans intended to give its thousands of displaced residents hope for the future. 1. 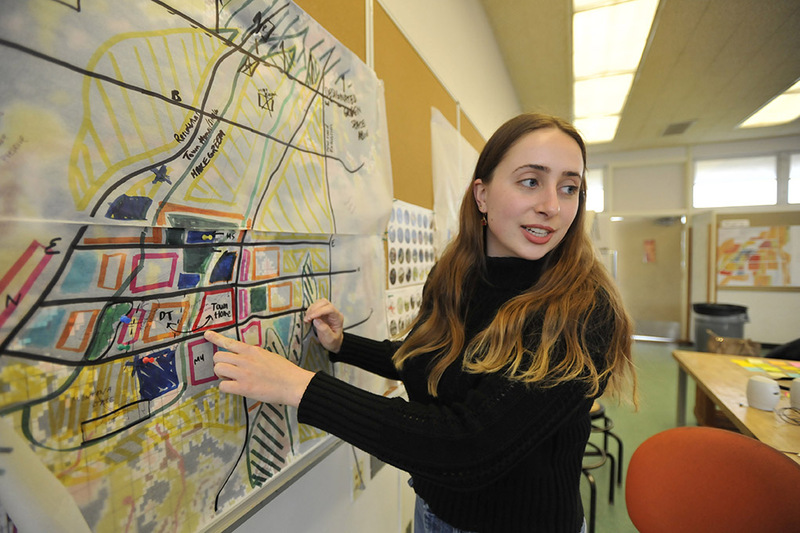 Paradise-Young.jpg — Cal Poly architecture student Katherine Young points to a proposed zoning map of Paradise showing where future uses could be located. 2. 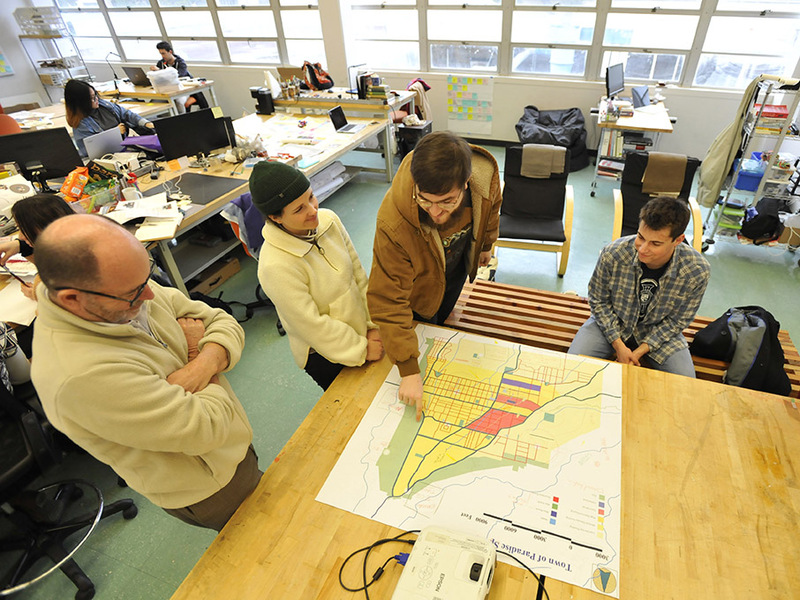 Paradise-Macdonald.jpg — From left to right, Cal Poly architecture faculty member Kent Macdonald, and students Sophia Smith, Ryan Huddlestun and Foster Westover describe their proposed concept plan for the town of Paradise. 3. 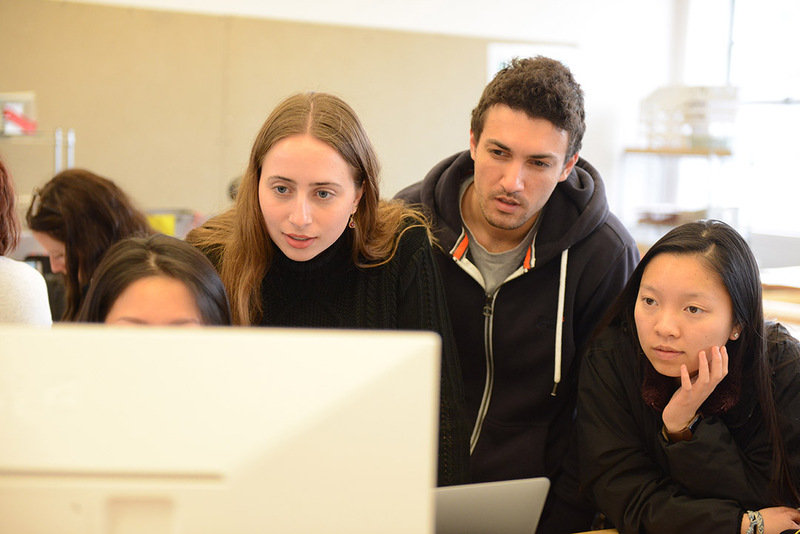 Paradise-group.jpg — From left to right, Nicole Lo, Katherine Young, Nathan Chudnovsky and Sirina Law peer at a computer while working in a recent design studio class taught by architecture faculty member Stacey White. 4. 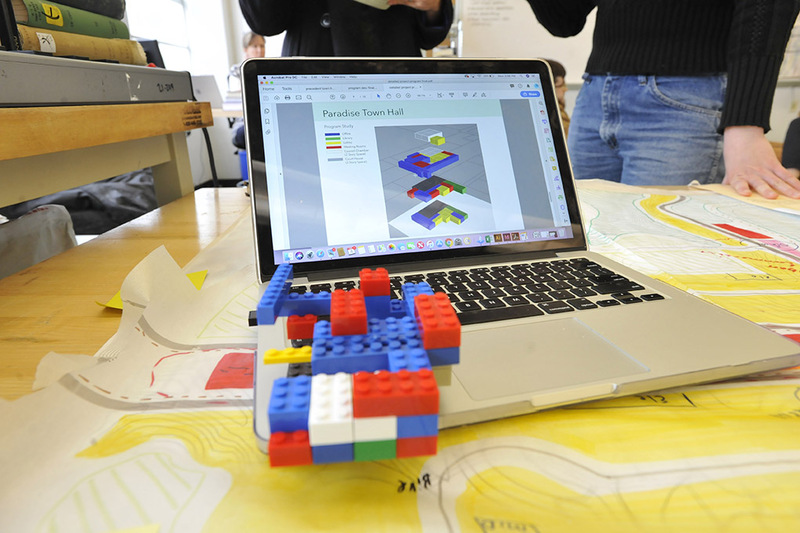 Paradise-Town Hall.jpg — Architecture student Katherine Young is designing a new town hall for Paradise, and built a model of the building with Legos that shows the proposed potential spaces within for it. 5. 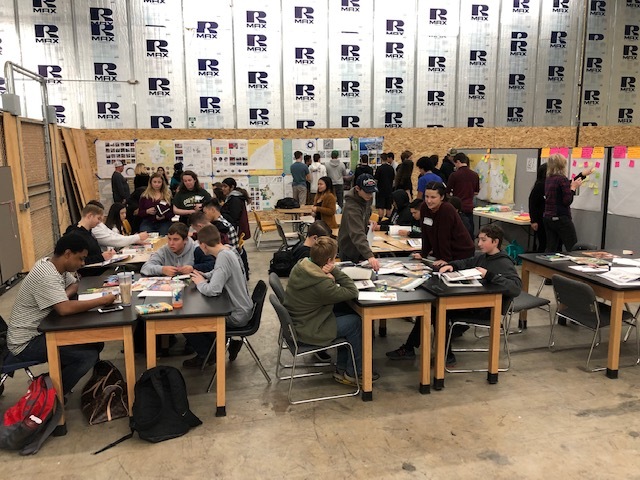 Paradise High School.jpg — Cal Poly students meet with Paradise High School students during Cal Poly’s trip to Butte County in January. Paradise High students are currently studying in a temporary location in Chico. Cal Poly architecture student Sophia Smith is standing at right in the foreground of the photo. 6. 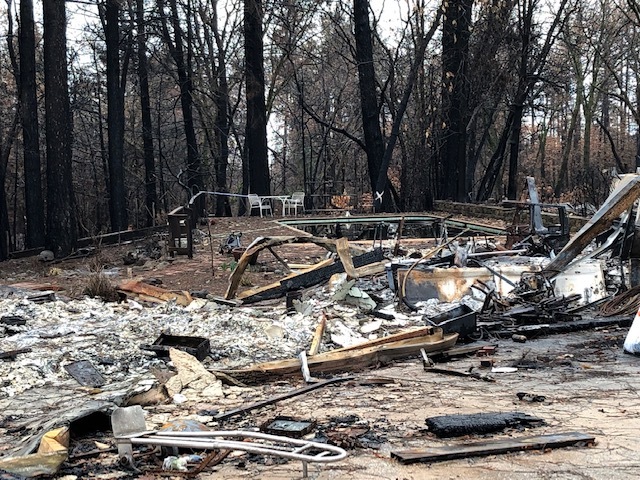 Camp Fire.jpg — The backyard of a home devastated by the Camp Fire. The photo was taken during Cal Poly’s recent trip to Butte County, which included a visit to the town of Paradise. Credit: Photos 1-4 by Jay Thompson, 5-6 by Stacey White. Note: Some high-resolution images are available upon request.